FREDERICK TANG ARCHITECTURE PLLC is a boutique architecture and design practice based in the Old American Can Factory in Gowanus, Brooklyn. The eight-person studio provides a full array of architectural and design services from early programming and conceptualization, through architectural design, permitting, bidding, construction phase services and interior design. Our work spans many typologies and scales including public spaces such as restaurants, art galleries, fitness centers as well as private spaces such as townhouses, apartments, and offices. Rather than approach each project with a particular style, we prefer to work in a unique process that emphasizes experimentation, curiosity, and collaboration. 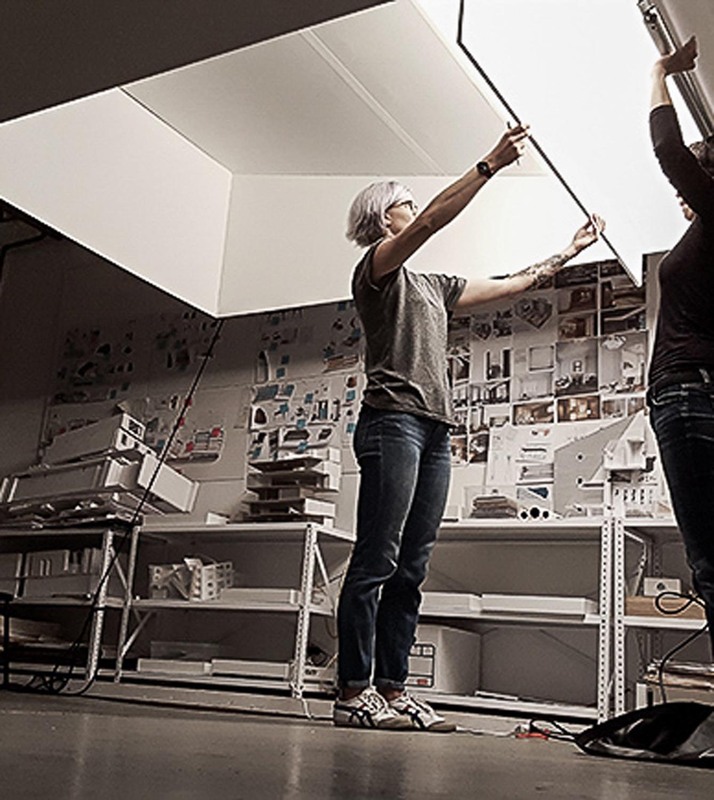 The studio designs largely in physical models, full-scale mock-ups, material samples, hand sketching, as well as digital renderings. We trust that an iterative process produces more refined and unexpected solutions. Current projects include a studio in Williamsburg for the artist Adam Pendleton, a retail store at Hudson Yards for the men’s apparel brand Mack Weldon, and a number of townhouse renovations and apartment combinations. Please contact us to see additional work, discuss a collaboration, or visit our studio. Fred is a graduate of the Yale School of Architecture and of Yale College where he majored in Economics. After graduation, he worked at Polshek Partnership Architects on the Standard Hotel in the meatpacking district where he was involved from Schematic Design to Construction. Prior to establishing an independent practice, he was a Partner in the firm of Davies Tang and Toews. For the last seven years, Fred has been an Adjunct Assistant Professor of Architecture in the Barnard and Columbia College Architecture Department. He was a Project Editor for PRAXIS Journal. Fred is a registered Architect in the states of New York, New Jersey, and Illinois and is a LEED Accredited Professional. Fred has lived in Park Slope for 14 years and has two kids. Barbara graduated from Carnegie Mellon University with a BS in Graphic Communications Management. She specializes in interior design, branding, and visual storytelling through print and digital media. Barbara has worked at Barneys New York, Redken, Oprah, Rodale, among others. Prior to joining Frederick Tang Architecture, Barbara was a Creative Director at Condé Nast where she led design and photography direction, including editorials featuring Gwyneth Paltrow, Serena Williams, Jennifer Lopez, and Misty Copeland. She lives in Prospect Heights, where she spends many hours in her rooftop garden. Mathanki is a graduate of Cornell University. Her work experience includes a range of public and educational projects for the NYC School Construction Authority, the NYC Department of Design and Construction and the NYC Housing Authority while at Nelligan White Architects. She also worked on several projects focusing on the reconstruction of historic public schools and contributed to the Guide To Historic Schools for the SCA. She has worked at Kohn Pederson Fox Associates where she worked on the City University New York, Advanced Science Research Center. She is a licensed architect in the State of New York. Mathanki lives in Clinton Hill and composes music. Alexis is a graduate of the Harvard Graduate School of Design. Prior to joining Frederick Tang Architecture, she spent 3 years at A+I working on a range of commercial and hospitality projects, including a 7,650 sf build-out for office space in midtown Manhattan and a 2,200 sf gut-renovation of a penthouse amenity area. Project scope included programming, office fit plans, custom millwork, branding, lighting, and coordination of full A/V and MEP scope including a new mechanical system and a media lounge. Alexis lives in Crown Heights and is an avid climber. Melissa received her B.A. Sociology from the University of Texas at Austin, studying design and its effects on society, and drawing inspiration from Scandinavian architecture and urban design while studying abroad in Copenhagen. She went on to complete her M.Architecture at Pratt Institute in Brooklyn, focusing on socially responsible design in a parametric world. She has worked in a broad range of architectural fields over recent years, from retail and residential to urban design and radical sustainability. Melissa has a keen interest in mycology and all things Buckminster Fuller.